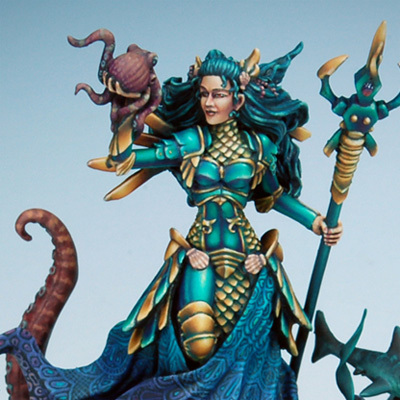 The Kraken's Mistress won the 2014 Crystal Brush competition. 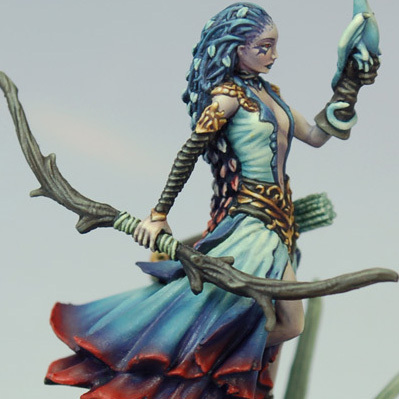 Arielle won second place in her category at the 2014 Crystal Brush. 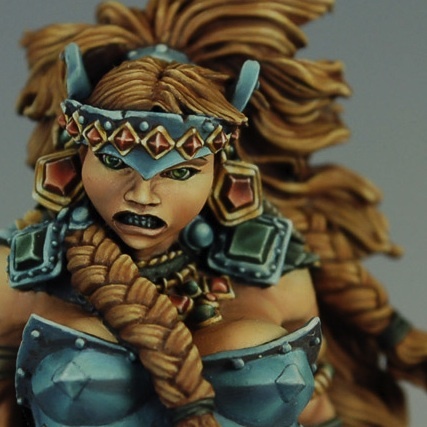 Morvahna won the Privateer Press Grandmaster contest at Gencon 2013. I painted Daenerys from Darksword’s GRRM line as a private commission. I painted Ar-Fienel for the Genghis Con contest and she earned a gold medal. The bones on her base are from owl pellets (they were cleaned before I got them) the skull is a lizard skull from eBay with horns sculpted on. I paint dead things! 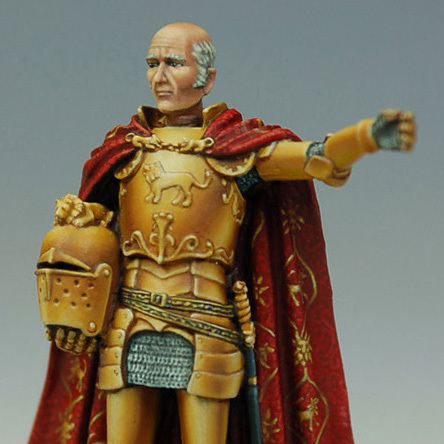 This is Tywin Lannister from Darksword’s George RR Martin line. The further I get into the series the more interesting this character gets. 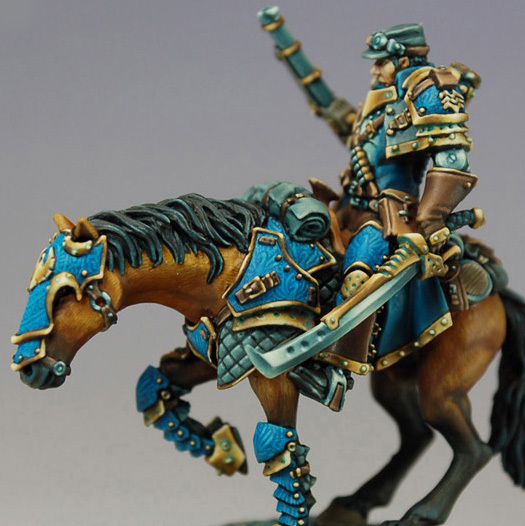 He won 1st place in his category at Gencon. Kraye was done as a commission. I felt that the horse needed some motivation for balking, so I put remains of a long-ago battle on the base. 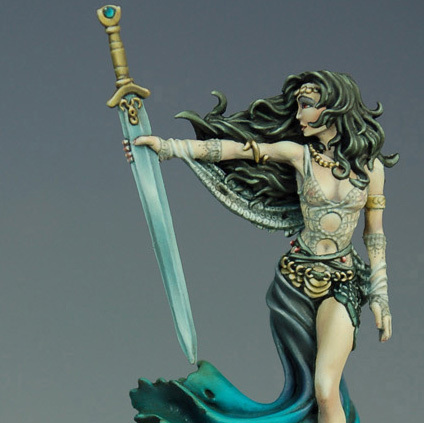 The Undine is a fantastic piece of eye candy from Darksword. The rare dryopus is a solitary, chaotic evil creature. She won the Master’s category at Reapercon 2008. 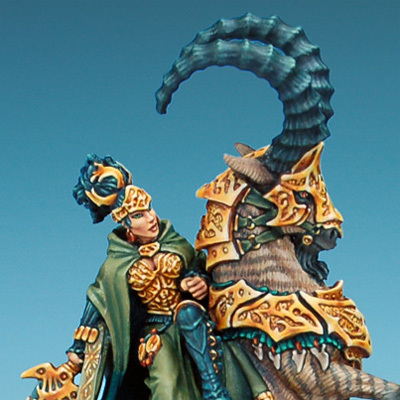 I think this sculpt from Darksword Miniatures is so awesome. She was a studio paintjob, but they let me add ribbons and a snake. The Giantess, by Reaper has been sitting on my desk for almost three years, in various levels of done. I worked on her whenever the mood struck, or when I messed up scheduling for my commission pieces. 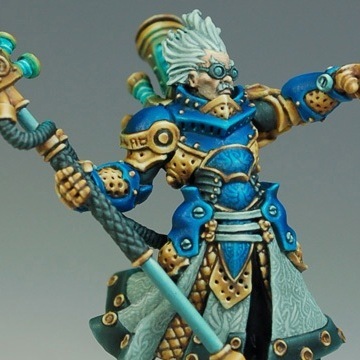 Nemo from Privateer Press. He got an honorable mention in this year’s contest.